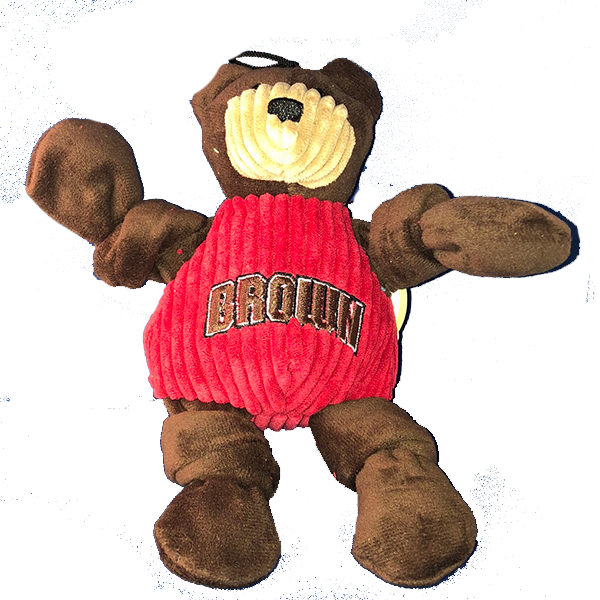 All Star Dogs brown bandana will slip-on over 1" collar or tie. Imprint of silver, cardinal, black, white, and gold Crest above 'BROWN' in white. 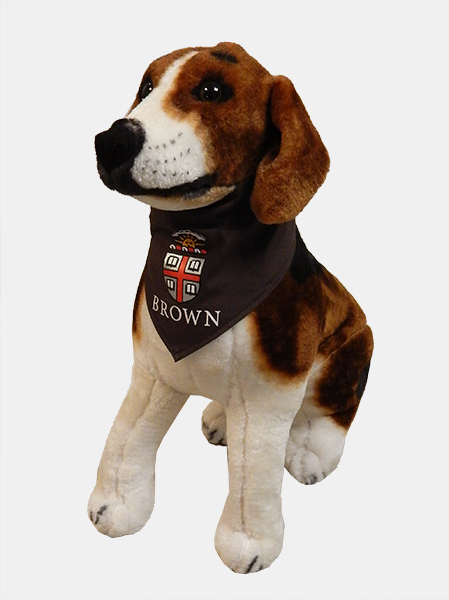 Please select option for 1 - ASD Brown Crest Dog Bandana **NEW**. All Star Dogs slip-on brown fleece dog coat with hood and buttonhole to put leash through. Embroidered grey, cardinal, gold, black, and white Crest above 'BROWN' embroidered in white on back. 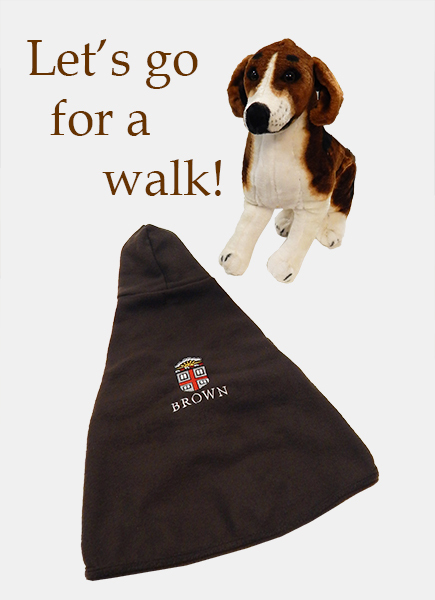 Please select option for 1 - Dog Coat - Brown Fleece with Hood - $29.99. All Star Dogs brown waterproof dog coat with red fleece lining has velcro closure at neck and around middle with buttonhole to put leash through. Embroidered grey, cardinal, gold, black, and white Crest above 'BROWN' embroidered in white on back. 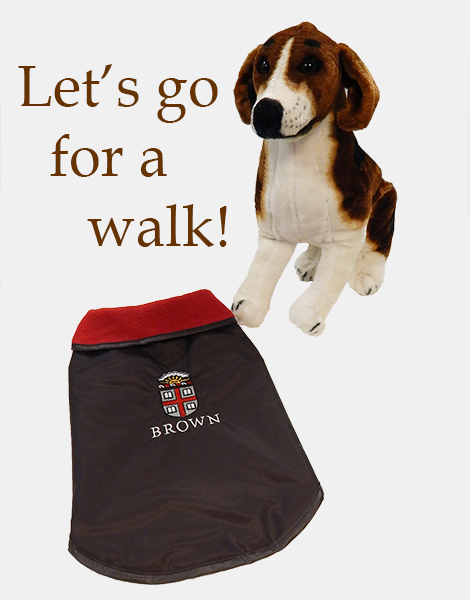 Please select option for 1 - Dog Coat - Brown with Red Fleece Lining - $39.99/$47.99. 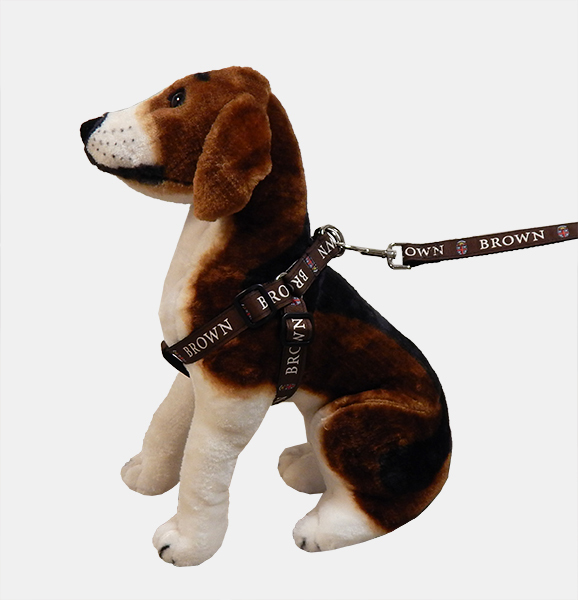 All Star Dogs nylon-woven 1" wide dog harness with brown canvas twill covering and double rings has pattern of grey, cardinal, black, white, and gold Crest next to 'BROWN' in white (shown with leash). Please select option for 1 - Dog Harness - Brown Crest - $34.99 **NEW**. 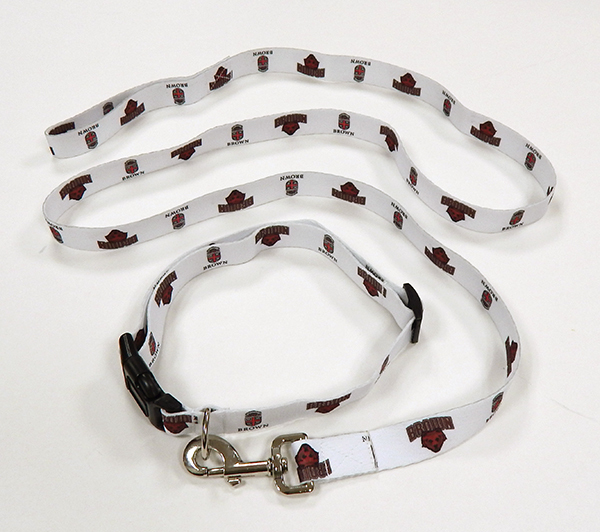 All Star Dogs nylon-woven 1" wide dog leash with brown canvas twill covering and silver clip has pattern of grey, cardinal, black, white, and gold Crest next to 'BROWN' in white. Please select option for 1 - Dog Leash - Brown Crest **NEW**. All Star Dogs slip-on brown tee with embroidered grey, cardinal, gold, black, and white Crest above 'BROWN' embroidered in white on back. 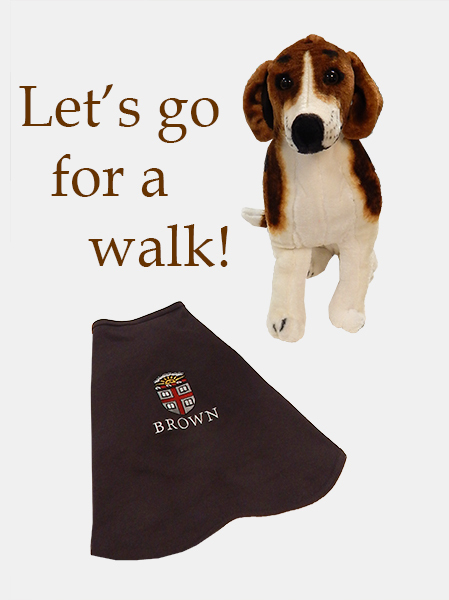 Please select option for 1 - Dog Tee - Brown Crest - $22.99. Spirit Products adjustablefabric dog collar with brown twill on the inside and cardinal with pattern of 'BROWN' in light brown with white outline and dog bones on the outside. Please select option for Dog Collar with Dog Bones - Adjustable. 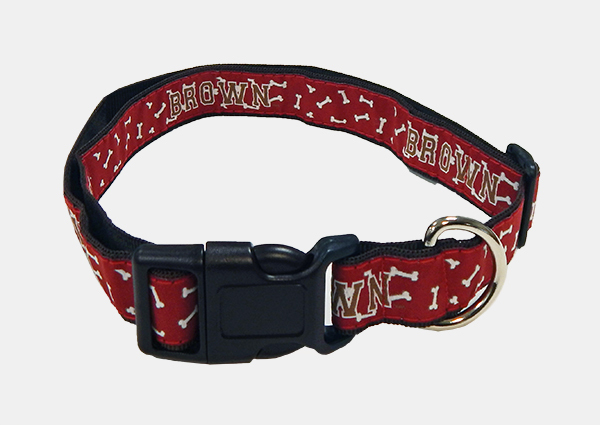 MCM Group webbed adjustable dog collar and leash set has pattern of red, grey, gold, black and white Seal above 'BROWN' in black and 'BROWN' in brown with white and black outlines above brown and black Bear mascot. 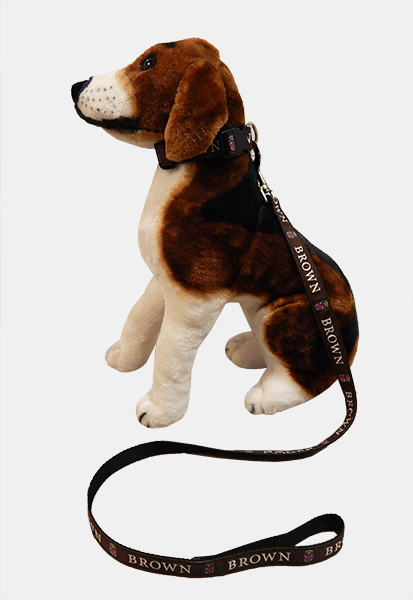 --Large Leash is 65" long; Medium collar: 12"-18" - Large collar: 18"-30"
Please select option for Dog Leash & Collar. 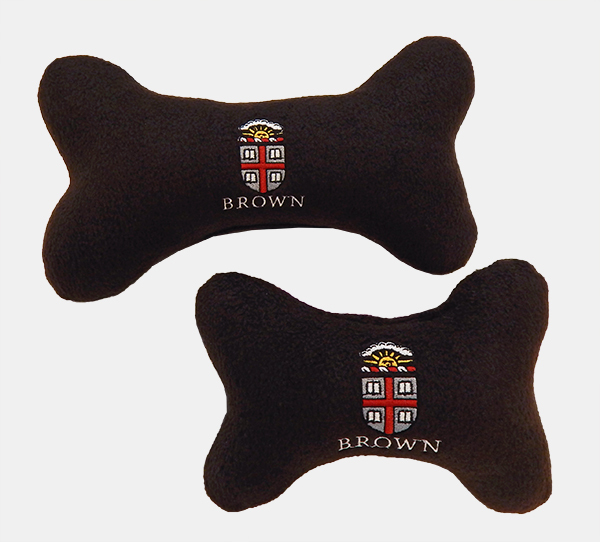 All Star Dogs bone-shaped, fleece-covered, dark brown dog squeeze toy comes in two sizes. Embroidered grey, cardinal, black, white, and gold Crest above 'BROWN' embroidered in white on one side. 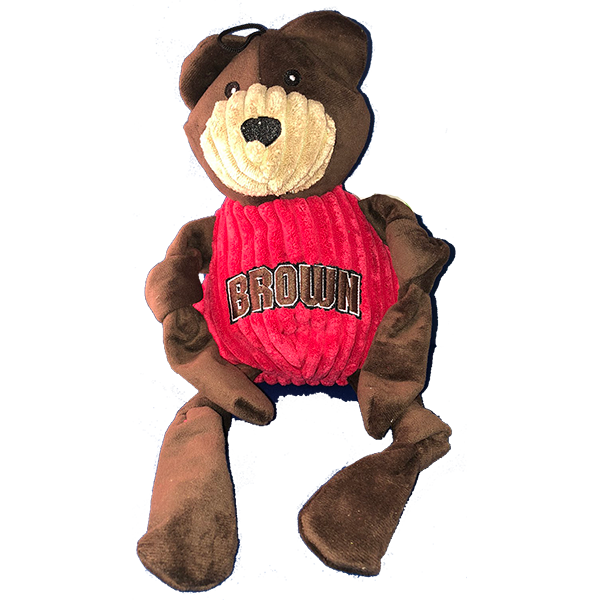 Please select option for Dog Toy - ASD Brown Crest Squeeze Toy.